The Friday Urban Dispatch for May 9: Comparing Phoenix’s urban progress to cities that have done the urban thing for a couple centuries. 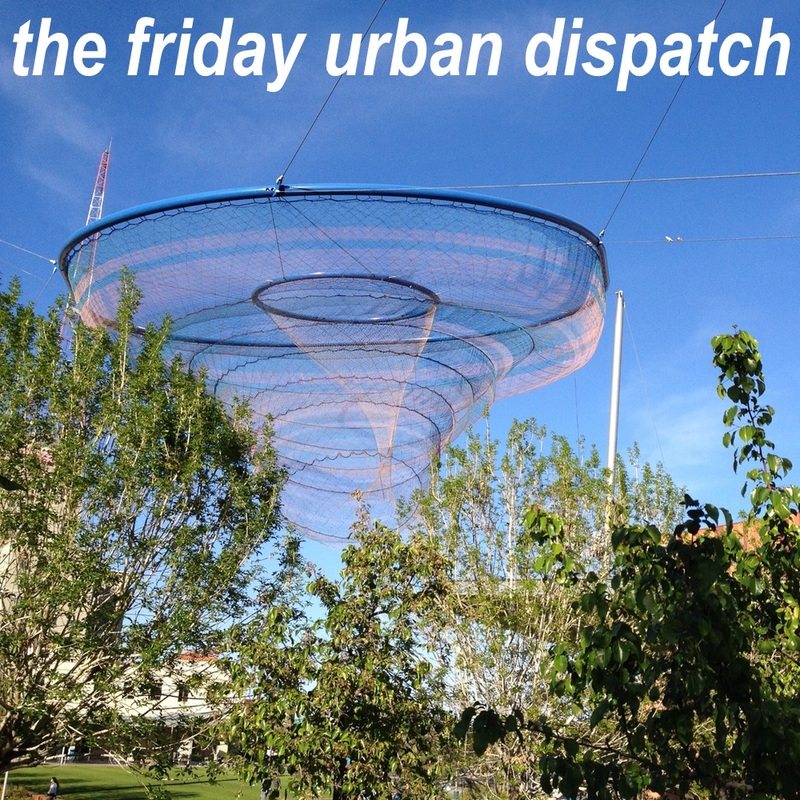 The Friday Urban Dispatches are a unique boots-on-the-ground perspective of what’s happening in our own backyard of downtown Phoenix. For this edition, there’s a unique twist. Stored-value transit cards. Washington’s WMATA has SmarTrip. New York City’s MTA has the Metrocard. Boston’s MBTA has the Charlie Card. And Philadelphia’s SEPTA is working on its own system. All of these cards are reusable cards that have combinations of stored value and day / week / month unlimited-ride passes for bus, subway, or commuter rail. These cards can be purchased by anyone from a vending machine or a station agent. Phoenix doesn’t have that system and it’s long past time we have something like that. Our closest thing is the Platinum Pass but that’s only for companies through trip-reduction programs. Paper tickets for various passes are available. If we want to make public transportation a truly viable and equal option for urban dwellers as we want it to be, a stored-value card program available to the masses has to be introduced. Blending old and new. By far, Boston was the best city in which the old and the new were seamlessly blended together: one enriched the other. In lower Manhattan, skyscrapers were built around and even integrated historic buildings seamlessly and beautifully. Were this happening in Phoenix, I am sure the historic preservation community would cringe. If our definition of historic preservation is that we must retain buildings as they were when they were built, then we will not achieve the density Phoenix needs to have. By museum-ifying buildings and neighborhoods, that is a fast path to ensuring that we will not get there, these historic buildings will deteriorate, and we won’t get the urban density and quality we need to be in Phoenix to be competitive in the 21st century world economy. Preservation is important; however, we must reuse buildings in ways that celebrate history but look toward the future. Great cities require great parks. One of the common elements of these four cities are their use and love of parks and public spaces. Among other parks, Washington has the National Mall and various squares; New York City has Central, Bryant, Brooklyn Bridge, and Prospect Parks; Boston has the Boston Common, Boston Public Garden, and Kennedy Greenway. All of these parks have public-private partnerships and conservancies that fund the parks’ operations and maintenance. We have some nice parks and preserves in Phoenix that are sometimes woefully underused. As I have commented previously, there is a hopeful future of downtown’s Hance Park: its Hance Park Conservancy is beginning to implement a wonderful new Master Plan that celebrates desert urbanism. Grand statements. As my friend Will Bruder said once, “it takes one really good street to make a city.” To take that a step farther and to build on that philosophy, it takes one statement to show that we are who we think we should be. I am proudly serving on the City of Phoenix’s Bicycle & Pedestrian Ad Hoc Task Force and one of our first deliverables is to come up with a new Bicycle Master Plan for Phoenix. I have been reminding my colleagues on this citizens’ panel not to think linearly but to think disruptively. What interventions can we make to make a statement not only to ourselves but to the world that we take cycling seriously here? A two-way cycle track ran the length of Pennsylvania Avenue from The White House to the Capitol in Washington. New York City has closed off Broadway to automobiles in Times Square. These are grand statements and it’s time that Phoenix have some grand statements of its own. What about making Central Avenue in midtown and downtown Phoenix’s first truly complete street? Or what about making all of the canal crossings to go above or below major streets? Toward D.C., not New York City. A lot of Phoenix advocates think that buildings should be tall just for the sake of being tall. The new Arizona Center for Law & Society building in downtown Phoenix’s University District? Too short. Roosevelt Point? Ditto. Just recently announced is a tower to go on the Central Station site that will block much-needed winter sun for the Civic Space Park. I’m a big believer in a constant and continuous density that features buildings about 6-10 stories tall, which is what is found in downtown Washington. It’s a perfect height in which the buildings and the street engage each other intimately and one is not detached from the other. While the towering skyscrapers in Manhattan are certainly engineering marvels and some are nice to see, they create a cavernous feeling and limit seeing the sky. In Washington, the sky is readily viewable and accessible. There’s also a rebellious nature on proud public display in Washington. Their official motto and rallying cry is taxation without representation, noting that while Washington residents pay Federal income taxes, they do not have voting representation in the U.S. Congress, sending a nonvoting delegate to the House of Representatives. While Phoenix has voting representation in Congress and in the Arizona State Legislature, the values of urban Phoenix are certainly different from what our representatives in the Arizona State Legislature are trying to force upon us.